dōTERRA®, a beautiful Latin stemmed word means Gift of the Earth and that’s what they have been doing since 2008 with their business—giving us gifts from the Earth with 100% pure essential oils. The dōTERRA® goal is to share their therapeutic-grade essential oils with all of us globally. To that end, business experts and health care enthusiasts and devotees all became involved to make their dream become a reality—and they did in Pleasant Grove, Utah, USA. Meet the dōTERRA® professional staff to see what they say. To sell their superb products, dōTERRA® conducts clinical research to offer the best of Mother Nature’s pure essential oils from the living plants sourced globally since they do not own farms. You will find that the essential oils by dōTERRA® are subjected to the Certified Pure Therapeutic-Grade (CPTG) testing, a registered quality protocol using a low heat distillation process. With their Co-Impact Sourcing, dōTERRA® makes an unquestionable transformation for the famer’s, gatherer’s, and distiller’s energy contribution and hard work for their 100% essential oil creations. Over 40 countries producing more than 100 essential oils, dōTERRA® wants the disadvantaged areas to be treated fairly and honorably at all dōTERRA® sources. As a non-profit contributor, dōTERRA® gives back with their Healing Hands Foundation and you can join with your gift too. dōTERRA® is having an impact on disadvantaged farmers and communities who do not have all the things we enjoy. 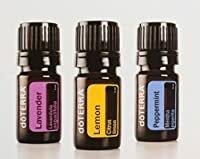 The distinction and standing of an essential oil company makes a profound difference when selling a brand of products. Knowing dōTERRA’s® history helps you to realize the significance and distinction using this quality brand. 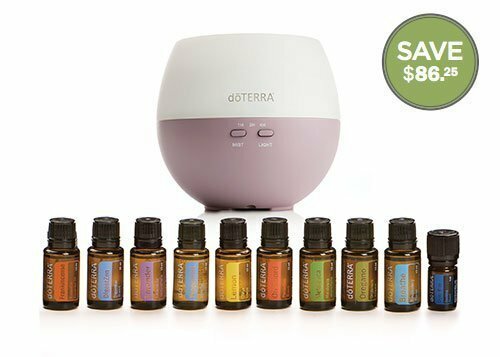 Essential oils are used by lovers of aromatherapy in their homes, offices, hotel, and bank lobbies, and by massage and physical therapists. Use the oils in diffusers or as a massage for wellness as aromatherapists do. One of my favorites is dōTERRA® Eucalyptus (Eucalyptus radiata) 15 mL bottle that cleans the air using my diffusers and helps to relax and calm me being especially wonderful for babies and anyone for breathing problems and colds. I have my diffusers misting in three rooms in my house for the entire place to smell heavenly. This oil is soothing to my skin and yours too when used as a massage with your favorite carrier oil or such as dōTERRA® Fractionated Coconut Oil to reduce sensitivity to your skin. Just use one drop to your carrier oil. When you add a few drops of dōTERRA® lemon and peppermint in a spray bottle without water added, spray kitchen and bathroom countertops and other fixtures for eliminating bacteria and germs there. You can also add a few drops in the palms of your hands, then place at your nose and deeply inhale for revitalizing your get-up-and-go. Always be mindful and do not use eucalyptus and other specific oils if you are pregnant, breast feeding and have skin irritation. Never get oils close to your eyes or in your ears. The blends are available in small 4 mL travel size kits, spa kits, Emotional Aromatherapy Touch roll-on kits and more in a variety of fragrances. These are excellent gifts for someone you know wanting to sample different products or yourself. The HD Clear® Facial Kit face wash contains plant oils and dōTERRA® essential oils to clean your face skin no matter your age to promote cell renewal for a smooth and clear complexion without drying out your skin. Remove oil and dirt the gentle way for feeling super clean and smell great too maintaining a youthful glow. This is a 3-step plan that purifies your skin, controls overactive oil glands for those with oily skin and hydrates for moisture. Using the products each day and before bedtime too will reduce skin breakouts and sooth irritated skin. dōTERRA® provides consumers with fantastic essential oils in intense fragrances as single roll-ons. The dōTERRA® Lavender Touch (Lavandula angustifolia) smells the same as the lavender I grow in my wildflower garden. You will see the Latin scientific name on the labels of the oils that are packaged in amber glass bottles to keep sunlight out. Lavender is a light floral and powdery scent and is relaxing and calming when blending the oil with fractionated coconut oil for a massage on those with sensitive and delicate skin. Put the roll-on into your purse to later use on your wrist, neck, and feet to be grounded and put on the hand of an irritable child for calming them down and taking a nap. I keep one in my desk drawer to be refreshed during the day when I get more coffee. dōTERRA® has a 3 each 5 mL bottle introductory set for beginners to try and the therapeutic grade lavender, lemon, and peppermint and are CPTG Certified Pure Therapeutic Grade®. The suggested uses are on the lovely presentation box included. Lemon is invigorating, crisp, and smells like genuine lemons. Lavender, of course, is calming for sleep. Peppermint is a hybrid of watermint and spearmint a favorite of mine with many uses. I use it with water as a mouthwash and it repels bugs. It has more beneficial uses as well and smells good. Another favorite money saver is the dōTERRA® Home Essentials Kit Package with a diffuser. The bottles are 15 mL except the Deep Blue® is 5 mL. The Petal ultrasonic diffuser uses water to add about 5 drops of oil into. Each 15 mL bottle holds about 250 drops. The petal diffuser is a soft lavender color covering up to 330-square feet of space holding about 6-ounces (177 mL) of water with timer settings. The long-life LED (Light Emitting Diode) illuminates the top half and can be turned off. dōTERRA® offers its high-quality essential oil-infused supplement line for your wellness journey in soft gel and pill form for your family. When you want to have a healthier energy level or protect yourself and your kids from the environment’s pollution and allergens, choose the all-natural ingredients of dōTERRA® excellent oil blends sourced globally for your daily body protection and health. The digestive health and Cleanse & Renew will get your digestive tract back to being healthy. The PB Assist® helps with digestive upsets for adults. For the kids, the dōTERRA a2z Chewable™ and IQ Mega® Pack is two products that come together shown in the two pictures at the left in the group, making it easy to enjoy taking omega-3 fatty acids, whole food nutrients, vitamins, and minerals in convenient liquid and chewable forms. Kids love them because they taste great; adults love them because they are easy to swallow. The PB and GX Assist offer health benefits as well. Achieve your body’s unity with the core components blended to perfection with dōTERRA® supplements. The premium essential oil infused supplement line unites these core elements, so you can naturally achieve total wellness. Start your new day to reveal abilities, talents, and anything imaginable in your heart. With the dōTERRA® engraved logo natural wood box, you can store 25 essential oils to keep them away from sunlight and heat. It’s compact, lightweight, can go where you go or store in a drawer or cupboard. 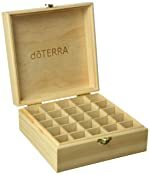 It makes a nice presentation box if you are an MLM member for exhibiting your essential oil collection. For sharing your essential oils with your friends, the 12 each 5/8-dram vials are the perfect choice for distribution. dōTERRA® is a multi-level marketing (MLM) network company. This means you can make money by selling dōTERRA® products and by referring new consultants to participate in the compensation plan. To become a dōTERRA® consultant, all you have to do is pay a registration fee to get access to the products at a wholesale price below retail. You will pay the registration fee for many ways to make money. The dōTERRA® products will sell at retail prices and you refer new consultants to earn more money on their sales and on the consultants they sponsor. Generous bonuses and rewards can be earned with this program and you can have your own personal website. dōTERRA® has a great blog page with lots of information for how to use their oils, recipes, do it yourself projects and crafts. Check it all for phenomenal things you can do and things you can learn. The little bath bomb is easy to make, and kids love them. The recipe for cuticle cream works and it’s not time consuming to create. Each dōTERRA® essential oil can be used in many different ways. Take a minute to discover the innovative uses for their products, and why they are so beloved by all of us users. My endorsement for dōTERRA® is an overview and I hope it has been beneficial for you. Their exchange and return policy is fair if you are not satisfied or have any issues with any products. You can call or email them at the return policy link shown.